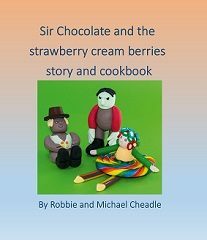 It was only because of her son’s serious illness that Robbie Cheadle discovered her gift for combining children’s stories with cake making. 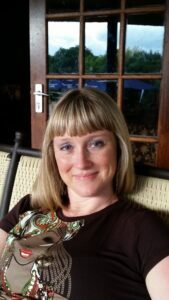 Robbie says about herself: “My father died when I was three months old and my mother immigrated to South Africa from the UK. Since then I’ve attended fourteen different schools – this gave me lots of opportunities to meet new people and learn lots of social skills!” Robbie has written textbooks as a chartered accountant, but her real love is the Sir Chocolate series of books that she co-authored with her eleven year-old son, Michael. ‘When my second son, Michael, was born in January 2006 he was ultra-healthy, scoring 10 out of 10 on his Apgar score. The first three weeks at home with him were relatively easy. My older son, Gregory, had been a difficult baby, crying for hours on end. He’d also had his days and nights mixed up so we hardly slept during his very young days. But Michael began differently, he slept well and didn’t cry much. But then, one afternoon, when Michael was three weeks old, I went to check on him sleeping in his pram. He had stopped breathing and was going blue. This was the start of 11 years of illness, asthma attacks and chronic sinus problems for my little boy. I can remember phoning our paediatrician and being told to bring Michael straight to the paediatric ward at the hospital. Fortunately, my Mother was close at hand to look after Greg for me. Michael was diagnosed with bronchiolitis, a common illness of the respiratory tract that causes inflammation of the tiny airways that lead to the lungs. Michael was admitted into hospital and had to be nebulised with cortisone four times a day and sleep in an oxygen tent. I spent those three days sitting watching him in the hospital and sleeping on a mattress on the floor. After three days, we were sent home, armed with medications for use in our home: nebuliser, nasal sprays and an antibiotic. A terrible three weeks followed as Michael just didn’t seem to be recovering and breathing properly. I was breast feeding him and my nights turned into a cycle of feeding for 60 minutes, nebulising him for 40 minutes, sleeping for 80 minutes and then starting all over again. I was totally exhausted. At six weeks old, Michael had his six week check-up by our paediatrician. She was shocked to find that his nasal passages were the narrowest she had ever seen. It was a miracle that Michael hadn’t stopped breathing during the night and died a cot death. I was given Fixsonase nasule drops to spray into Michael’s tiny nose and also had to rinse out his nose before every feed using saline in a syringe. I had to spray 5 ml of saline into each of his nostrils – a delightful way of bonding with your baby. 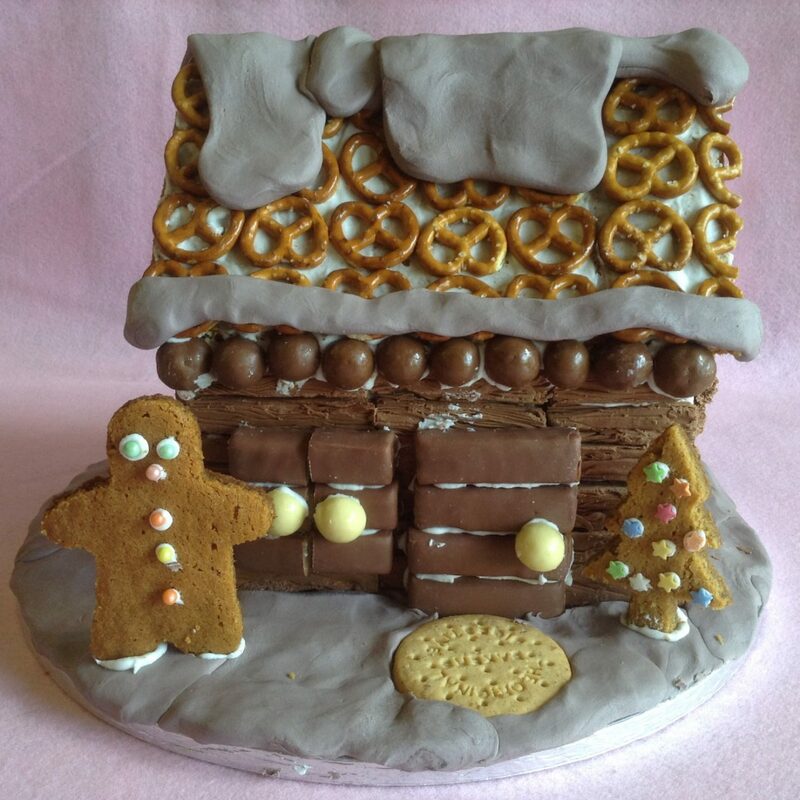 Log cabin from ‘Sir Chocolate and the stolen Christmas harp’. Free book available here. At four months old, Michael contracted bronchiolitis again and we spent another four days in the paediatric ward at the hospital. By the time Michael was two years old he’d been in hospital four times and during the winter of 2008 he’d had bronchitis four times in three months. He’d also suffered from a series of eye infections that no doctor seemed to be able to cure or explain. At five years old Michael started Grade 0 at primary school. He missed 30 days of school that year due to illness. My family was familiar with the local hospital at every holiday destination we went to including Port Elizabeth, Richards Bay, Durban and Cape Town. In September of Michael’s grade 0 year we discovered our wonderful ENT (ear, nose and throat specialist). Michael underwent an operation in early November of that year and they found that the formative bone in his left sinus was malformed and had completely blocked his sinus. The mucus that formed in that sinus had no way of escaping and, as a result of the continuous antibiotics for sinus and his eye infections, Michael had developed a biofilm (a group of drug-resistant microorganisms that cling together and adhere to a surface) in his left sinus. After some experimentation, our ENT came up with the idea of saline nasal rinses for Michael. Into this rinse we mixed cortisone to help reduce the inflammation. This worked fairly well. Michael’s chronic sinus has now improved to a point where he only has two or three sinus infections a year and undergoes a nasal rinse in the hospital once every 12 to 18 months. Michael was also diagnosed with chronic, brittle asthma during his grade 0 year. The asthma required the attention of a pulmonologist (a specialist doctor who treats lung conditions and diseases) and a paediatrician. Michael battled with his brittle asthma for a further two years until the doctors settled on a very high (adult) dosage for his inhaler and an additional maintenance medication to help control the asthma, particularly user-induced symptoms. I do believe that all the medications, including high and frequent dosages of antibiotics and cortisone, impacted on Michael’s general health and development. Six months into grade 1, his teacher told us he had a processing problem and needed extra time to complete his school tasks. By this time I had also realised that Michael was struggling with both reading and writing. Michael was six years old at this time and we used to spend a lot of time baking together. Michael used to tell me sweet stories about his little made-up characters who lived in Chocolate Land. 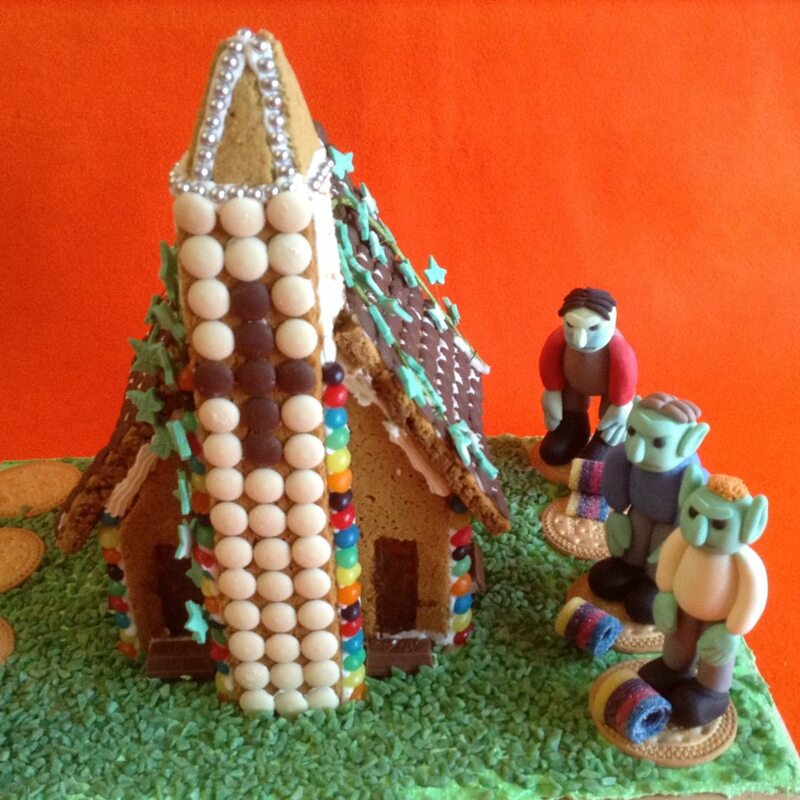 In Chocolate Land, his characters could eat everything and lived in houses made of gingerbread and cake. I started helping Michael to write down his Chocolate Land stories in order to get him to practise his writing. He illustrated his short books with hand-drawn pictures. I had always read a lot to Michael and we continued with this. Mike particularly likes fantasy books and I was also able to buy him a large number of audio books so that he could listen to stories when I wasn’t able to read to him. 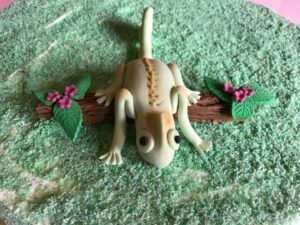 When Michael was in grade 2, we progressed with our baking to making figures and creatures out of sweets and fondant. 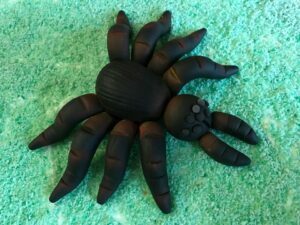 This was so much fun and so successful that we decided to illustrate some of Michael’s books using our fondant creations. This necessitated converting his books to a typewritten format. 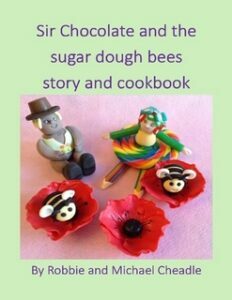 I took his ideas and fleshed them out into the rhyming verse stories that now comprise the Sir Chocolate series of books. My brother-in-law saw our books, which we were printing out and reading to Michael’s cousins and the children in our local Sunday School at the time, and suggested that I include recipes and make them into cookbooks with a story for children. That is how the books in their current format were born. 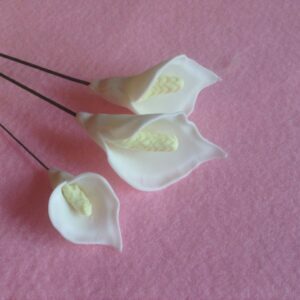 A fondant art creation for a poem celebrating ‘My Michael’. You can buy all three from the highlighted links in the titles above or TSL Publications. 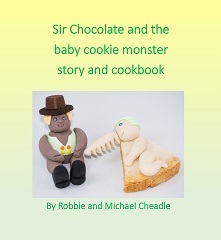 You can buy them in South Africa directly from the authors by emailing Robbie Cheadle at sirchoc@outlook.com. Next week, I interview prolific musical duo Tinlin, who have appeared at the Glastonbury Festival as well as numerous concert halls in the UK, Europe and Australia. Thank you, Leslie, for this lovely article about Michael and I and our Sir Chocolate book series. What a wonderful story that shows the sweet spirit of Robbie and the strength of Michael to overcome such difficulties. I love the series and knowing the story behind makes me all the more impressed. Thank you, Vicki, for your kind comments. I think God gave Michael such a lovely nature to make up for the pain of his ill health. Hi Robbie, what a journey you and your family have been on. 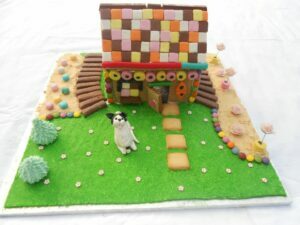 I love the fact that you have managed to create something quite wonderful with your son in the form of story and cake. May your son continue to be strong and well, may you flourish. Thank you, Raine. I appreciate your comment and well wishes. Have a lovely week.